Forests have been consumed by printing books on leadership. Relevance might be part of it. Almost everybody can or will be a leader at some point in their lives. Whether you are captain of a team in high school, a parent, or you are a supervisor of people in the workplace or elsewhere, most all of us will take on leadership roles. There’s no question healthy leadership improves lives and moves society forward, so we take an interest. But what is it? Defining leadership is difficult. For example, it has been convincingly argued that great leaders lead from the front (e.g., George Washington) and from the middle (e.g., Pope Francis). They confront head on (e.g., Winston Churchill & Margaret Thatcher) and they have quiet stamina (e.g., Mahatma Gandhi). They convince with rhetoric (e.g., Abraham Lincoln & Martin Luther King Jr.) and lead by example (e.g., Mother Teresa). They are socially adept (e.g., Richard Branson) and socially awkward (e.g., Mark Zuckerberg). We also know that gender, culture, nationality and socioeconomic status tend to be irrelevant. Even entire extremely successful organizations vary tremendously in their leadership approaches. Compare Disney’s stick to the script approach versus Google’s what have you done for me lately approach. Utterly different, but utterly successful. With all this uncertainty what do we think we know? Leaders are inspirational. Leaders seem to have resiliency and purpose. Leaders model: in some way, shape or form, leaders must do as they say. Leaders also, as Jim Collins’ leadership guru states, get the right people on the bus and get those same people in the right seats. Great leaders are ultimately bound by core principles (e.g., see Stephen Covey’s work). That is, they are ethical, honest and morally centered. This is why you would not call Hitler, Mao, Stalin and Pol Pot great leaders, even though they inspired millions. What can schools do to develop leaders? There seems to be good reason for schools to be proactive and purposeful about educating for leadership. So how do schools teach leadership and what can you look for as a parent? There are a number of formal offerings you might see in your child’s school. Very common in schools is something called character education. It is just what it seems: students receive instruction on the nature of “good” character. A few schools offer formal leadership classes or programs that cover a broader spectrum of leadership issues and concepts. But can you teach leadership and character in a classroom? My answer is “somewhat.” For example, I teach an Ethics class to 9th graders at Currey Ingram Academy. Via the course material, and especially the application of the materials in assignments and class discussions, the students gain a better understanding of the principles that are foundational to leadership. I would argue, however, engagement in extracurricular activities fosters leadership as much as what happens in the classroom. Simply put, there are things that happen during extracurricular activities that cannot be replicated in the classroom. Often there is a higher level of emotion, a greater pressure to perform and a constant opportunity to be outside of the comfort zone. As author Wendy Mogel clearly stated in her book, The Blessings of a Skinned Knee, the resilience and purpose that characterize leadership later in life often have roots in facing life’s early and inevitable setbacks head on. Two especially good ways that schools do this are through well-developed service-leadership programs and outdoor education programs, both which often place students well outside their comfort zones. As mentioned, most schools provide a nice array of activities that have the potential to build leadership skills. But, extending an idea from earlier in the piece, leadership is hard to pinpoint and define. Is there anything schools can do to make students more aware of their unique leadership potential? There’s a line of research on leadership that takes the stance (based on 40 years of empirical study led by Donald Clifton) that because leadership manifests itself in so many ways, there really is no leadership prototype. Truly great leaders take advantage of and accentuate their particular skill set, and there is no one-size fits-all set of skills. Thus, should schools be more systematic and attentive in how we help students recognize and capitalize on their particular strengths and talents? As Head of School at Currey Ingram Academy, I recognize how valuable it is to help students recognize their potential. 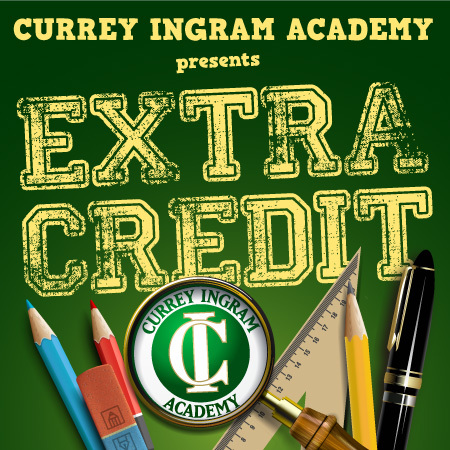 Currey Ingram’s mission is centered on personalizing our approach to help each individual student succeed. Through activities such as strengths and talents weeks, monthly success assemblies, no-cut athletics (where all are invited to play), rich arts opportunities, frequent public speaking opportunities, career readiness assessments, and especially our Individualized Learning Plans and extensive conference process (which students lead, in grades 7-12), we strive to help students discover and leverage their particular strengths at every turn. Mining those strengths, we believe, provides the foundation for a lifetime of leadership.